Designing and executing your pharmacy floor plan, whether for a new build or for a current store remodel, is a critically important part of creating your total pharmacy environment. Together with your paint color choices, flooring type(s), lighting, signage, shelving and fixtures, your pharmacy floor plan will be responsible for pulling everything together and guiding your customers along their merry way to, hopefully, see everything you've gone to so much trouble to put on display. We know that many customers shop at a particular store because of a presentation that makes them feel welcomed and encourages them to buy. If they feel uncomfortable because of the way things are set up or because they find things confusing or hard to find, they may opt to make their purchases elsewhere. You want them coming in, feeling comfortable, engaged and interested in what you have to offer, and checking out with a feeling that will have them wanting to return in the future. Your chosen floor plan can definitely have an impact on these feelings. 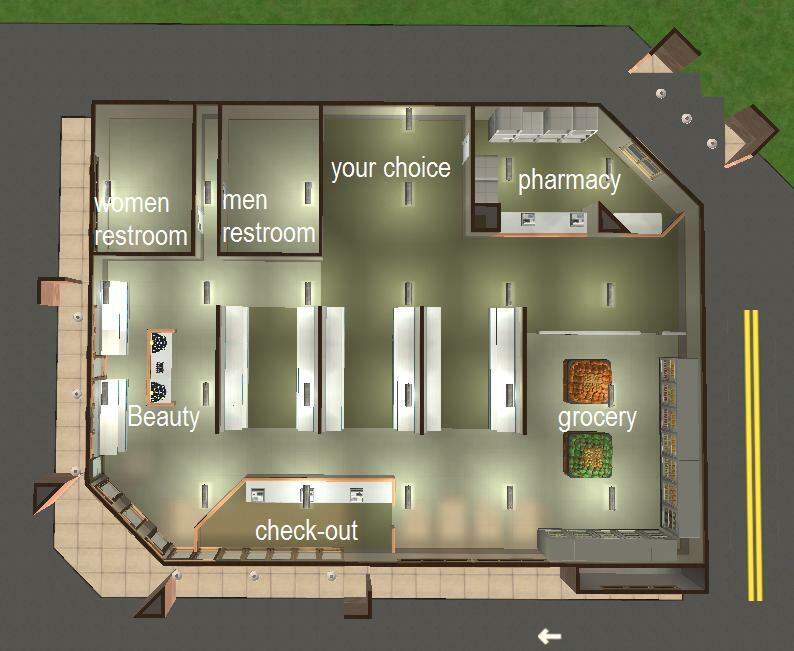 There are several floor plan options that can potentially work well in your pharmacy, and before you make any decisions regarding the shelving and other display fixtures you'll be buying, you'll have to determine which floor plan to incorporate into your store design. For many store owners, the traditional grid or straight layout is the preferred choice and used extensively in pharmacies, big-box home-improvement stores, grocery outlets, convenience stores and other types of businesses that display large numbers of products on standard shelving. Other options include combination and free-flow floor plans. Gondola shelves are the most popular choice for use in the center area of stores utilizing a traditional floor plan and, when appropriately placed, can be used to create an obvious customer footpath through the store. 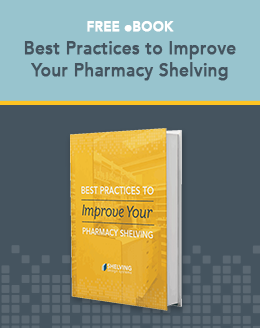 The idea is to guide your visitors through the various sections of the store as they travel from the entrance to the rear area where you've located your pharmacy drop-off counter and display your best-selling items. A large number of pharmacy customers are in your store to get a prescription filled and you want to make their trip from the front door to the prescription area as interesting as possible to encourage browsing. A traditional floor plan offers many benefits, including maximum usage of available floor space. Shelving is typically set up parallel to the store's side walls and multiple shelving sections can be used to create long runs. Combinations of pegboard, slat-wall and/or grid-wall displays can be used on perimeter walls and in corners, and end-caps can be placed on the ends of some of the gondola runs to break things up and to showcase hot-selling items. With today's variety in gondola shelving, you don't have to be tied down to the traditional look of “straight and square,” even though you're using the traditional grid layout. Undulating shelves like those made by Madix give you the opportunity to add curves and what looks like movement to some of your shelving displays. If set properly, once your clients have picked up their prescription medications, they can be subconsciously urged to go out of the store using a different route than they used coming in. Placement of your checkout counter to the left side of the store makes that a natural way out and this gives you another chance to tempt them into making additional purchases. Other floor plans can work in certain pharmacies, including a combination or blended setup. Free-flow can work well for apothecary drugstores.